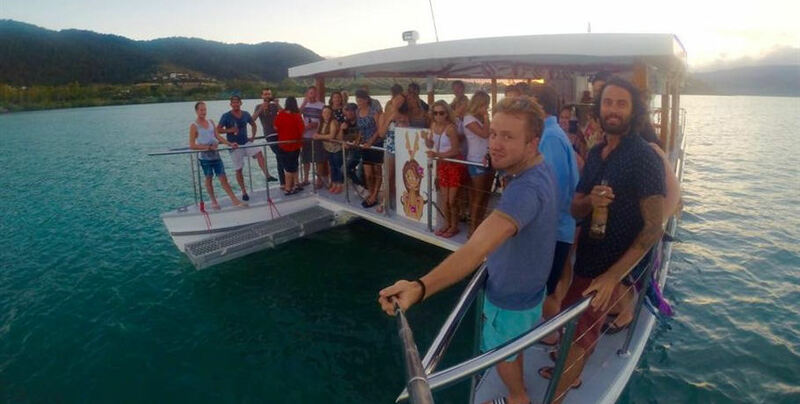 Sundowner is the perfect purpose-built catamaran for your next romantic evening or function. 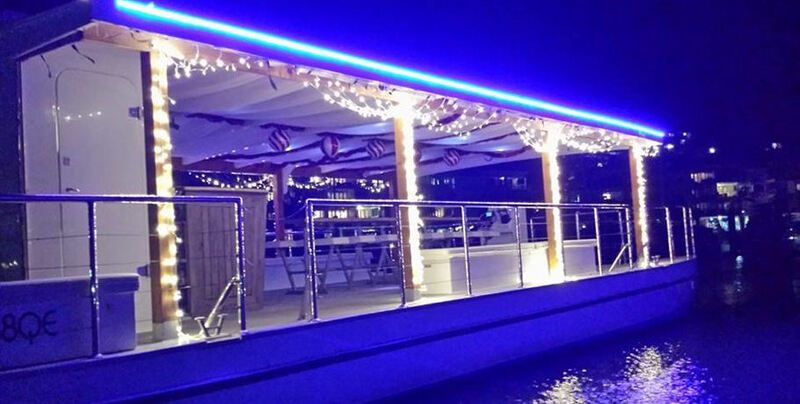 Offering flat surfaces without trip hazards, you are welcome to dress to the nines and enjoy an evening on the water with high heels. 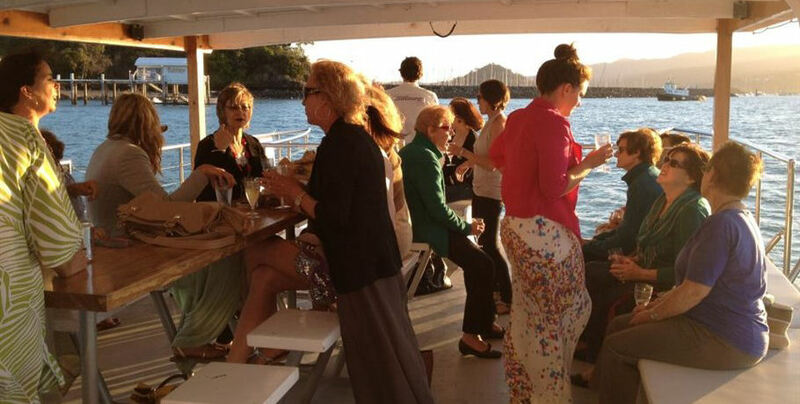 Enjoy a relaxed atmosphere while socialising with new and old friends alike as Sundowner circumnavigates Pioneer Bay. 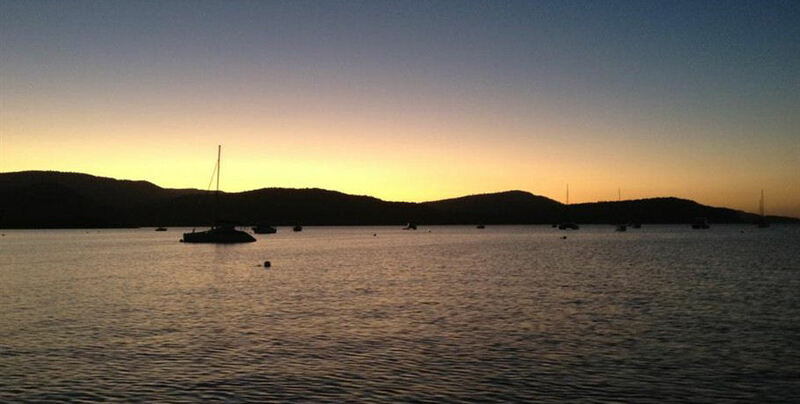 Look out for the turtles in Turtle Bay as the sun dips over the horizon, enjoy a view of the sparkling lights of the Airlie Beach foreshore as you make your way back to Port of Airlie Marina. Sundowner boasts a full licenced bar for your evening tipple and an evening cruise comes with complimentary antipasto share style nibbles. Please note: Nibbles are not offered as a meal. Cruise and Dine Packages available. Warm and friendly atmosphere just a short 2-minute stroll from Sundowner’s jetty. Delicious, freshly prepared food and outstanding cocktails are this boutique restaurant’s specialty. A hand-picked boutique wine list and stunning meals can all be enjoyed whilst overlooking the beautiful Port of Airlie Marina. Indoor and outdoor seating is available. Gluten free friendly. 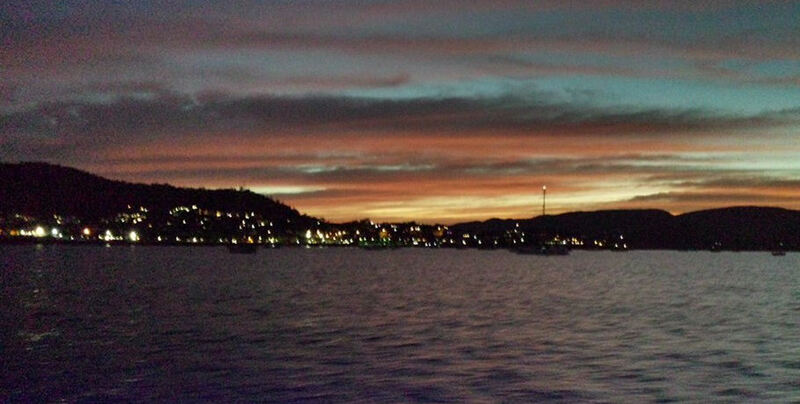 Sundowner departs from the Port of Airlie Marina, which is only a short 200m walk from the main street of Airlie Beach. Circumnavigate Pioneer Bay and get up close and personal to the many points of interest, including a bit of Turtle spotting in Turtle Bay and the lights of Airlie Beach accommodation places and restaurants. A glass of sparkling (adult) or a glass of soft drink/juice (child). 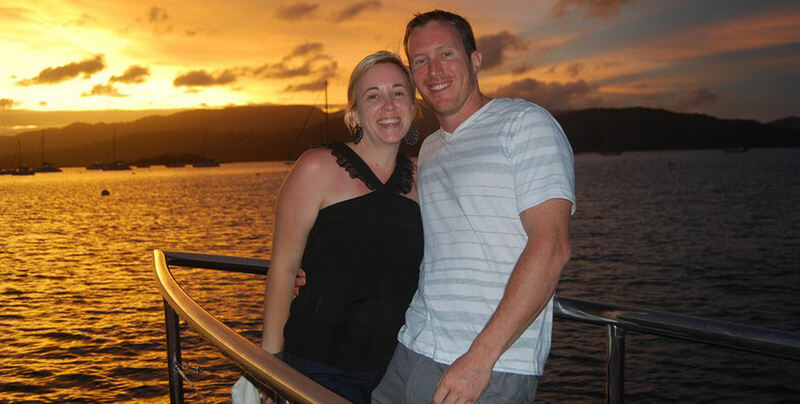 At all times Sundowner Cruises crew will ensure we take the safest and most comfortable route to ensure the best experience possible, the timing of this experience is dependent on the weather. All tours are subject to minimum numbers and to weather conditions and so may cancelled at the discretion of the operator. We also reserve the right to alter the destination pending the weather for your safety and comfort. The company will offer alternative days or full refunds in the event of cancellations within 24 hours of cancellation. If you, our guests cancel after midday prior to your cruise a 50% fee applies. Cancel after 4pm the day prior or no show a 100% fee applies.